From wire cutters to wire management systems… generators to testers… fuses to switches, cables and circuit breakers, we’ve got the electrical supplies to make your facility hum. (Aaahhh… the wonderful sound of electricity flowing properly through a buildings veins!) We carry brands that are a mainstay for the maintenance staff frantically dealing with an 8 a.m. outage right in the middle of important meeting, to the electrical contractor who’s installing recessed lighting in 23 luxury offices, on over to the electrician gutting the wall for a little extra socket space. 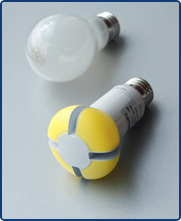 Looking to become more energy efficient? We like your thinking! Give us a call so we can help you meet your efficiency goals. Installing a heating system doesn’t have to make you sweat. Come to think of it, neither should a furnace repair, routine boiler maintenance, or even having to replace an entire central air conditioning system — that is IF you have Complete Facilities Supply on speed dial. (You do have us on speed dial, right?) Think of us as your HVAC supply headquarters. We carry blowers, exhaust fans, central equipment, HVAC and furnace controls, air treatment products and a whole lot more. We’ll keep your space cool when the outside world feels like an oven… toasty comfortable when the wind is howling like a banshee… and unpolluted so everybody in the building doesn’t catch the illness of the year. Yup, we’re pretty proud of having that type of reputation! 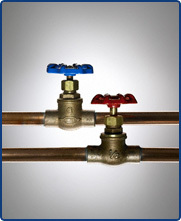 Of course we do chrome and stainless, but plumbers cannot live on shiny pipes and fittings alone. We’re also floor drains, commercial sinks, toilets and related parts. 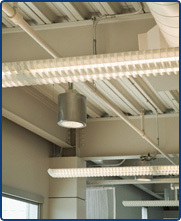 We’re a little bit brass and PVC thrown in for good cost-effective measure. We’re valves galore, water coolers, continuous wastes, pumps and even faucets that’ll get your restroom voted as one of the World’s Greatest Public Bathrooms. (Yes, there is such an honor… and can you imagine the publicity and foot traffic you’d receive from being on that list!) Doesn’t matter if you need to design and build an entire commercial plumbing system or regularly snake the porcelain throne in the men’s room, we’ve got exactly what you need at the price you want. Give us a call and find out. 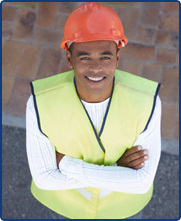 OSHA made the laws for keeping your workers safe, but we can lead you to the industrial safety supplies that keep you 100 percent within compliance. We’re talking about safety glasses and face shields, dust masks and respirators, spill containment systems and absorbents, cut resistant gloves, safety cabinets and tanks, eyewash stations and showers… you get the message. And we carry an abundance of brand name items because we believe a workers safety isn’t something you want to go bargain basement on. After all, a well protected worker is a worker who comes in the next day with a smile on his face, vision and all his digits – at least that’s what the guys in our warehouse say. 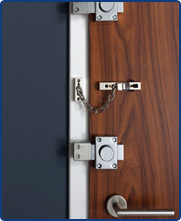 If you want durable, we’ve got doors that handle ins and outs hundreds or even thousands of times a day. If you want energy efficient, you’ll find doors that can seal all that comfortable air in. Looking for style? No worries! The architecturally inclined angle is covered here, too. Perhaps you’re getting the feeling that Complete Facilities Supply has a pretty broad range of doors and hardware. Well, that would be 100 percent correct. We carry wood, fiberglass, metal, fire rated and access doors — among other styles. In the hardware department you’ll find keyless entry door locks, keypads, electric locks, commercial weather stripping, thresholds and much more. No need to knock, just give us a call! This is an open warning to stains, dirt, mess, foul smells and moldy aftermath… you don’t stand a chance against the janitorial supplies we’ve got in stock. Soon-to-be buyers, please know that filth can’t cope with the disinfectants, germicides, spot cleaners and degreasers we carry. They’ll get the life wiped out of them thanks to our floor cleaners, mops, squeegees and brooms. You can bury it all in one of our trash cans – with wheels, if you want to roll them out. And then you’ll smile a great big smile using our breakroom supplies. 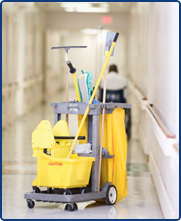 No need to leave a tip… it’s our pleasure to bring you that kind of janitorial supply happiness.